Do you want to know how to get to the apgujeong (station)? There are many ways you can get to apgujeong (station) such as public transportation (bus, subway / metro), taxi and Blacklink limo/transfer/shuttle service. Don't sweat outside waiting for other transportation with your luggage. Make a round trip reservation with Blacklink as you plan for your trip. It is easy, convenient and available 24/7. Then, the assigned Blacklink driver will greet you at the arrival and will drive you to the apgujeong (station). You can use Blacklink for not only hotel but also Gimpo Airport (GMP), Myeongdong, Jongno-gu, guesthouse, resort, airbnb, lodging and anywhere you want to go in Korea. Check out Blacklink customer review posted below. Apgujeong-dong is a ward of Gangnam-gu in Seoul, South Korea. It is considered one of the wealthiest neighborhoods in South Korea, where one square meter costs up to $10,000. The dong originates from a pavilion with the same name founded by Han Myung-hoi, a high-ranking government official during the Joseon dynasty. It is an upmarket residential, fashion, shopping, and educational area. The Hanja name translates into "Seagull Pavilion," a reference to his nickname, which itself was a reference and a mark of peace when viewing a group of seagulls flying. 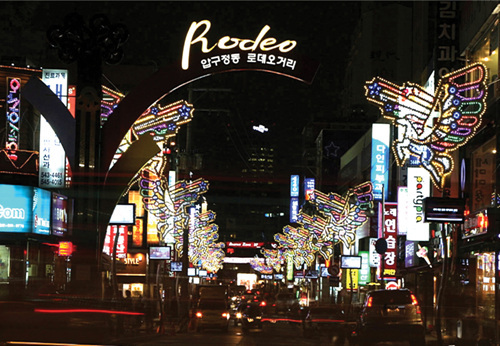 One of the main shopping area is Apgujeong Rodeo Street, along with Cheongdam-dong Fashion Street in Cheongdam-dong and Garosu-gil in Sinsa-dong, which are connected by the main avenue Apgujeong-ro. It is seen as a fashionable and trendsetting destination. The area is filled with upscale department stores, shops, boutiques, hagwons, cafes and restaurants. 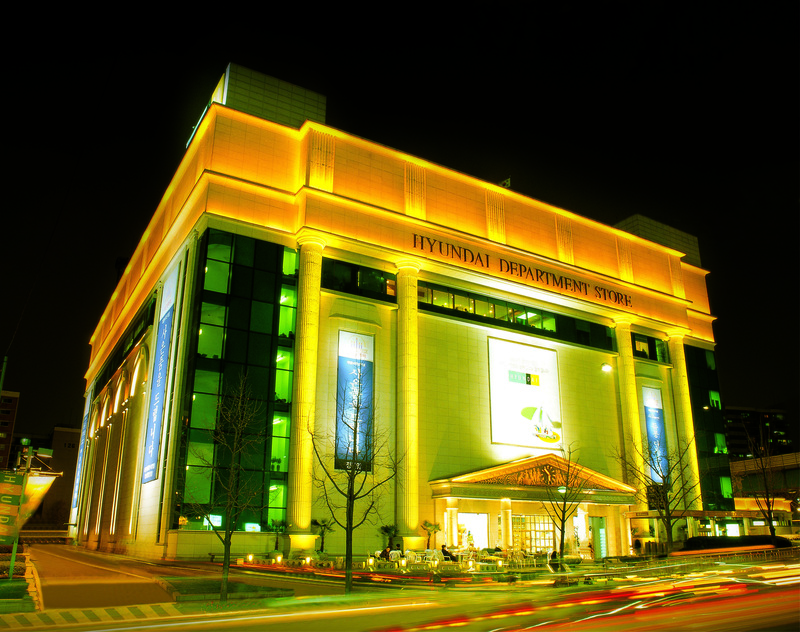 Two main department stores, Hyundai Department Store and Galleria Department Store, are located in this area with both being Flagship Stores. Apgujeong Rodeo Street is located opposite the Galleria Department Store, with shops of local and international designers as well as Nori Market, The Vanessa Bruno outlet, Mui Mui Cafe, and On Friday Restaurant. The former headquarters of SM Entertainment in Apgujeong-dong, Gangnam-gu, Seoul in 2012, now under renovations as the company's global training center. On the eastern extreme of Apgujeong lied the headquarters of K-pop entertainment agency S.M. Entertainment. The company moved their offices to Cheongdam-dong in 2012. The building is going under renovations to serve as a Global Training Center for SM Entertainment trainees. The Caffe Pascucci coffee chain in Apgujeong was used as one of the main filming locations for Seoul Broadcasting System's 2001 drama Beautiful Days, starring Lee Byung-hun, Choi Ji-woo, Ryu Si-won, Shin Min-a, Lee Jung-hyun and Lee Yoo-jin.